The Nigeria Professional Football League (NPFL) has commenced plans to broadcast live matches on British television, I can report exclusively. 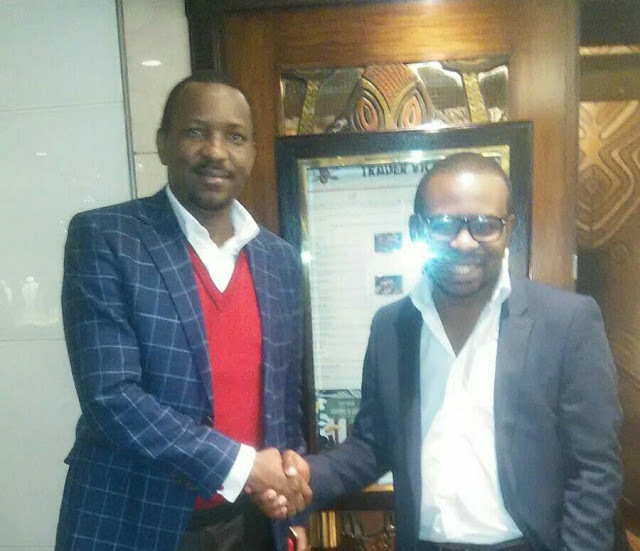 League Management Committee (LMC) chairman Alhaji Shehu Dikko made this disclosure over the weekend from London where he had gone to open discussions on what would be an unprecedented project in Nigerian football history. If things go according to plan, Nigerians living in the United Kingdom will soon be able to watch Shooting Stars versus Enugu Rangers and Enyimba International versus Kano Pilllars from the comfort of their living rooms. "We have opened talks with some television networks in the United Kingdom to broadcast live Nigeria football league matches on their platforms," Dikko told me exclusively over the telephone from London last Saturday, before reconfirming the story on Monday on his return to Abuja, the Nigerian capital. "Nothing has been concluded as I speak to you, Mumini, but I am confident that between BT Sport and Sky TV, we will have a partner showing the Nigerian football league to the U.K. audience in the not-too-distant future. AIT (African Independent Television owned by Nigerian businessman Raymond Dokpesi) have also shown interest through their London office. Obviously, our final decision will influenced by what is best for our league and our club sides." Dikko is relying on the huge Nigerian audience in the U.K. to make a commercial success of this venture. "A lot of Nigerians in the U.K. are football fans who are willing to pay to watch matches of their local Nigerian club sides," he says with optimism. "Actually, they have been asking us for this, at least I can speak for a lot of my friends out there. The plan is to secure a channel on any of the networks that I've mentioned, put our league matches on it and charge affordable pay-per-view rates. "The channel will be pay-per-view because it will not broadcast round the clock 24/7 like mainstream television channels. It will only broadcast when there are matches to be shown. If we charge half a pound or one pound per game and we get like 5,000 to 10,000 regular subscribers to the service, that will come to a tidy sum of money on a weekly basis. At these times when foreign exchange is a big issue in Nigeria, that would be a critical revenue source for the NPFL." The primary content of the proposed channel will be Nigerian football league matches but other relevant content may be featured as well. "We can put Super Eagles or other national team games on the channel when they come up," Dikko says. "We can also ask our local broadcast partners, DSTV SuperSport to put some of their local league programmes like "Naija Made" on the channel. Furthermore, we plan to do live streaming of the league matches so that if some people choose not to watch on television, they can watch via the internet either on their desktop or mobile devices." The LMC will be working with international media consultants to handle the discussions with the British television networks. Former SuperSport Head of Africa and founder of London-based Sports News Africa, South African-born Gary Rathbone, and the director of sport and corporate affairs for Ben TV in London, British-Nigerian Chris Chinedu Obukwelu, will act as project advisors to the LMC, says Dikko. Dikko who took over as chairman of the LMC in 2014 after serving as deputy to the erstwhile chairman Nduka Irabor, has been a central figure in the remarkable improvements seen in the country's football league in recent years. He introduced several legal, management, technical and structural reforms that have impacted positively on the league. If he pulls off this latest move to put the Nigerian league on British television, his legacy would be secured. "We have been lamenting for many years now that foreign football leagues, especially the English Premier League, have taken over Nigerian television," Dikko says. "Obviously, we can't drive them out of our territory again because the world is now a global village, so we might as well also take our product into their own territory. "After securing broadcast partners for the Nigeria League in the United Kingdom, our next step will be to look for partners in the United States and the Far East. We know that we have audiences in these places because Nigerians travel far and wide but still want to stay connected with everything happening back home including the football. We will pull this off, Insha Allah (By God's grace)." Great initiative and kudos to the people driving this. Pray it sees the light of the day. Fresh and creative thinking can only be good for Nigerian professional football. Also, I personally like the structural change within the football association. Structural change usually last longer. Equally, a good vision on a good structure would be timeless. More divine help Alh. Shehu Dikko.